“The Shoreham Wading River Lacrosse programs will be hosting it’s 12th annual “Lax Out Cancer”, at Shoreham Wading River High School located at 250 NY-25A, Shoreham, NY 11786. “Lax Out Cancer” is our annual High School Lacrosse fundraising game which recognizes local children who are battling cancer and raises money to help them fight. 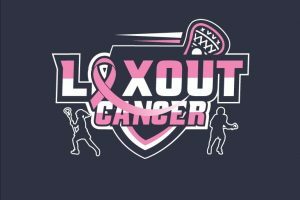 “Lax Out Cancer” began in 2008 when the Shoreham Wading River lacrosse community raised money for a family of a local child battling cancer. This fundraiser has become an annual event. It has attracted more attention, volunteers, and contributors. Last year’s Lax out Cancer event raised over $ 50,000 and helped four families with children whose lives have been devastated by this terrible disease.